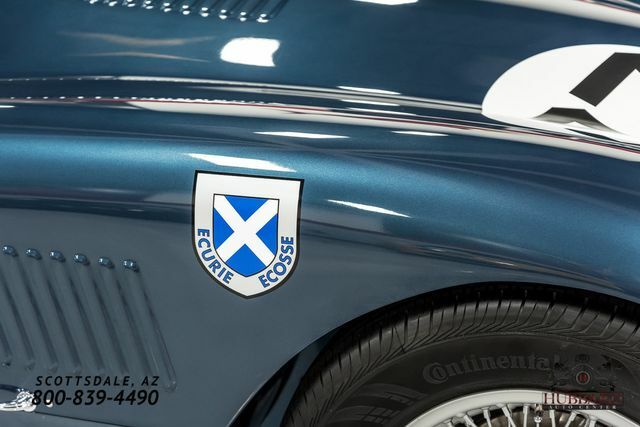 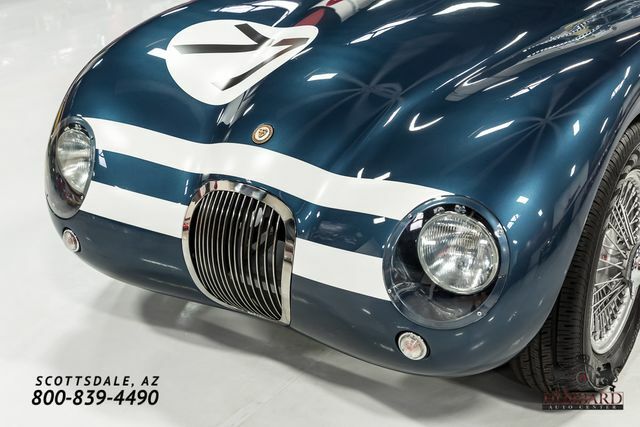 Jaguar built only 53 C-Type Roadsters from 1951-53 as an XK120 that could be raced, thus the "C" for competition. 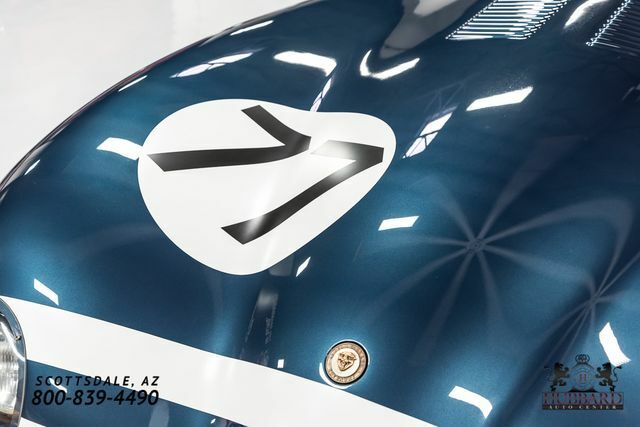 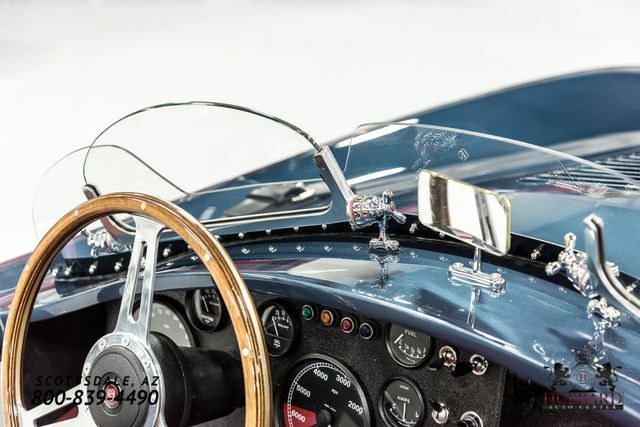 The C-Type proved its worth by winning the 24 Hours of Le Mans twice, first in 1951, and again in 1953 when the victorious car averaged a top speed of more than 100 MPH for the first time in the history of the Le Mans race. 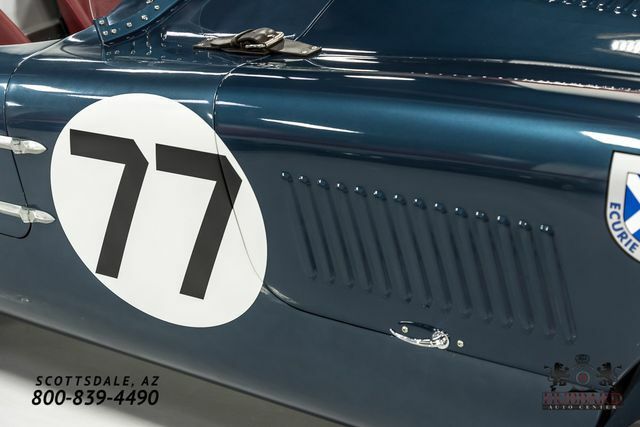 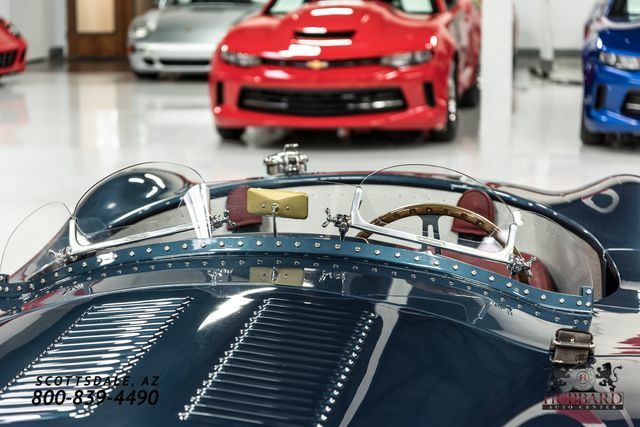 With such low production and a winning race history, surviving originals sell in the millions-if you can find one. 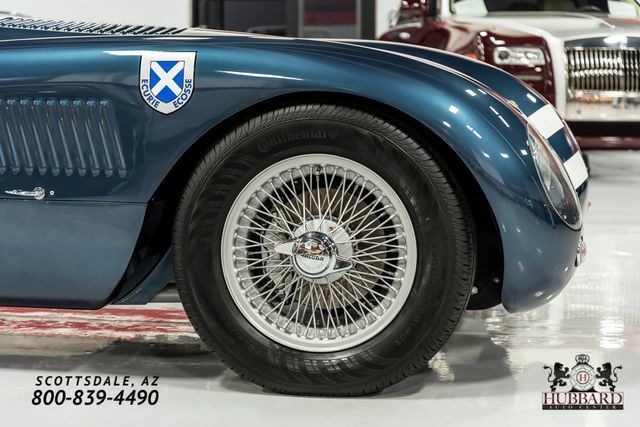 For that reason, recreations like this example are highly sought after in today's market. 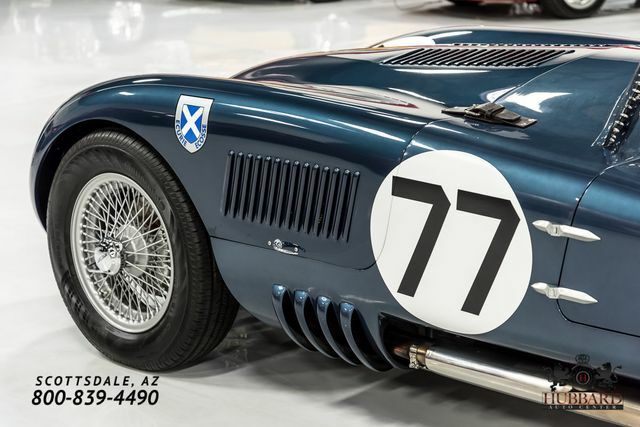 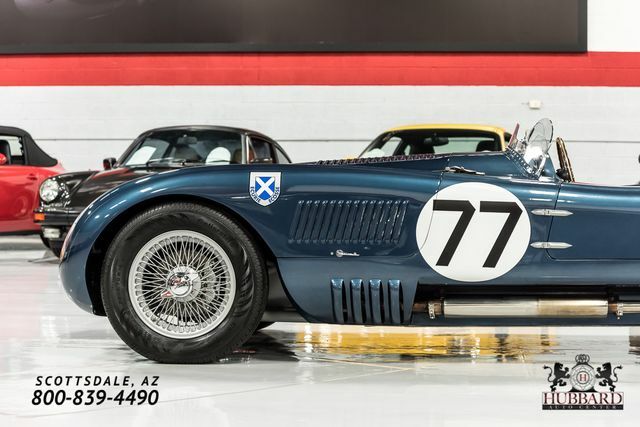 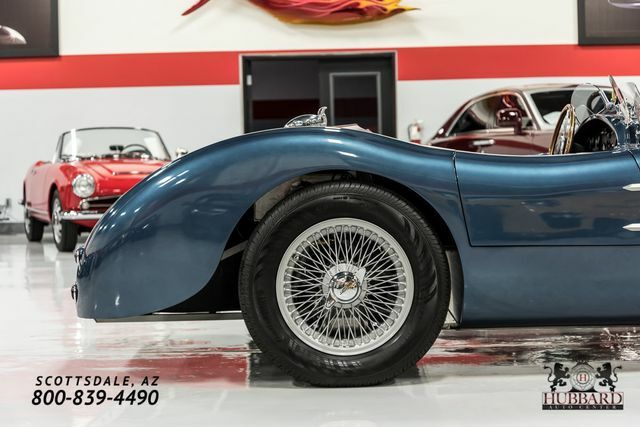 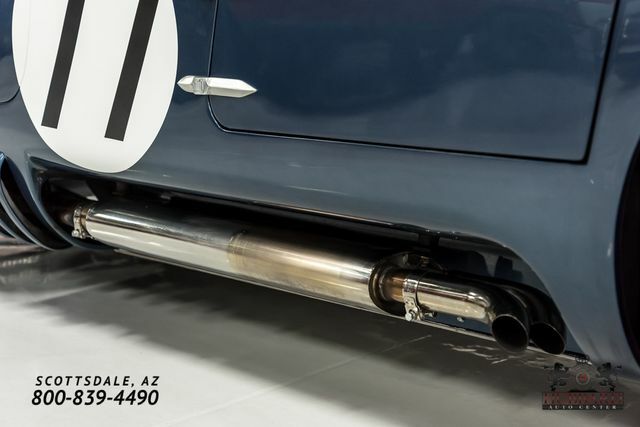 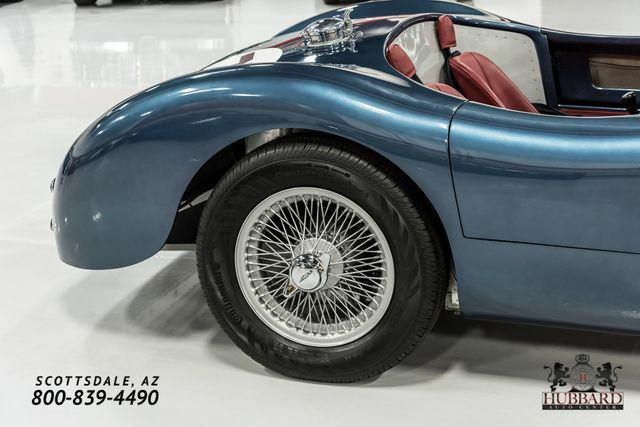 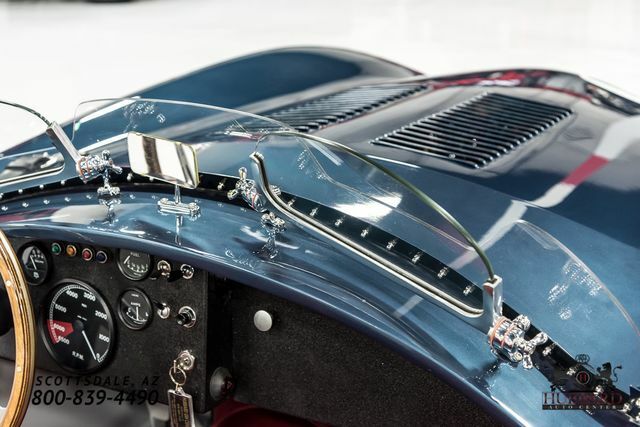 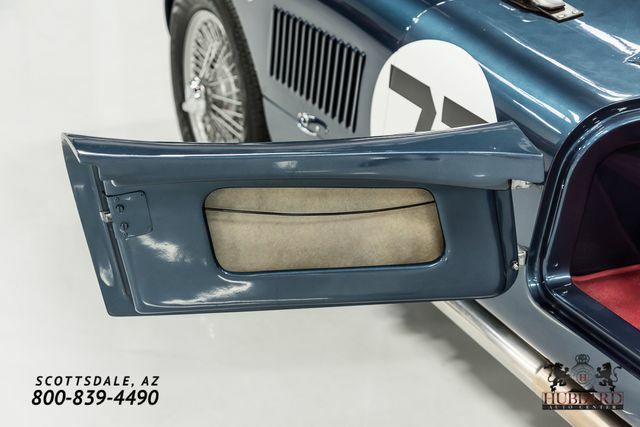 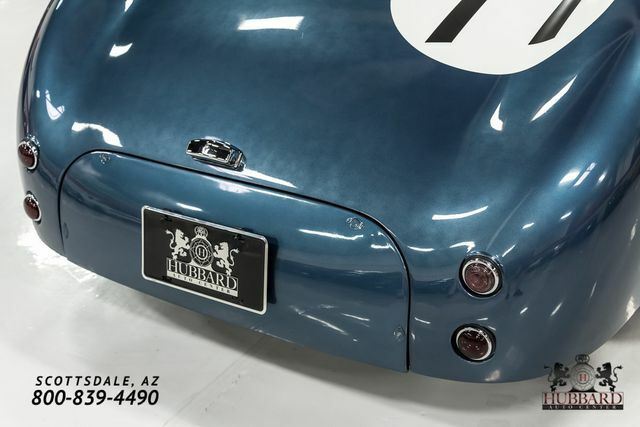 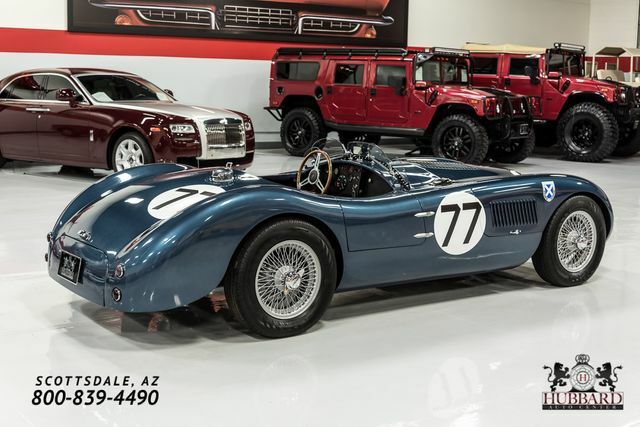 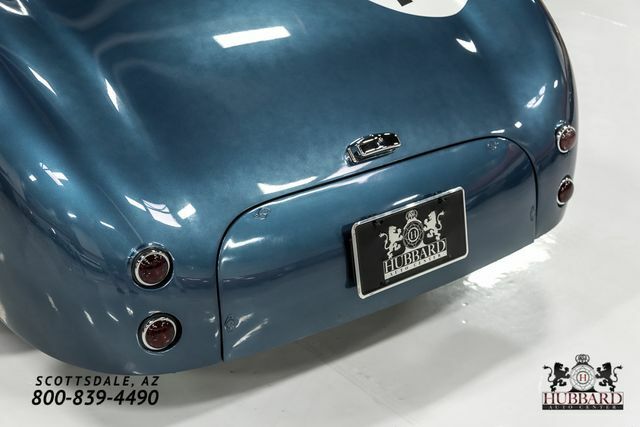 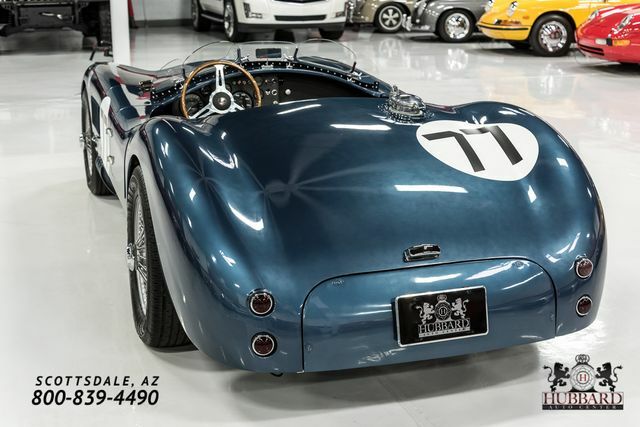 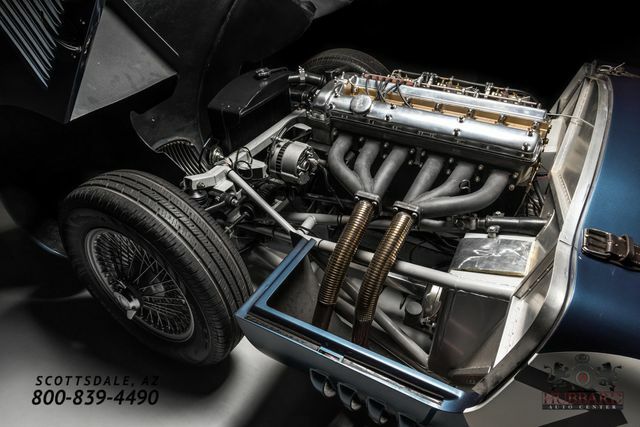 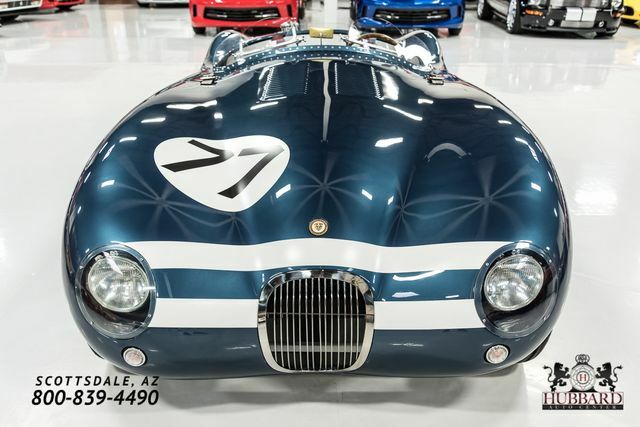 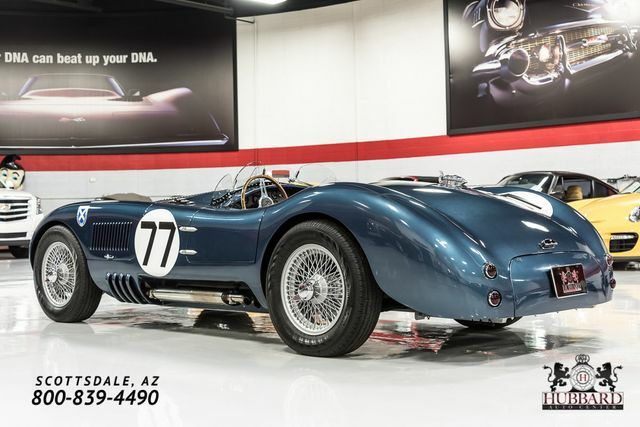 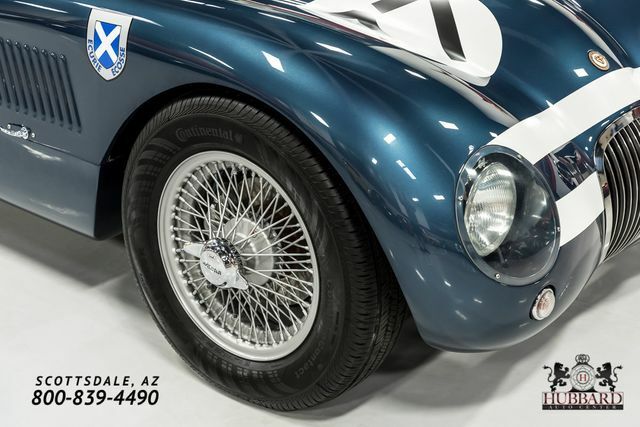 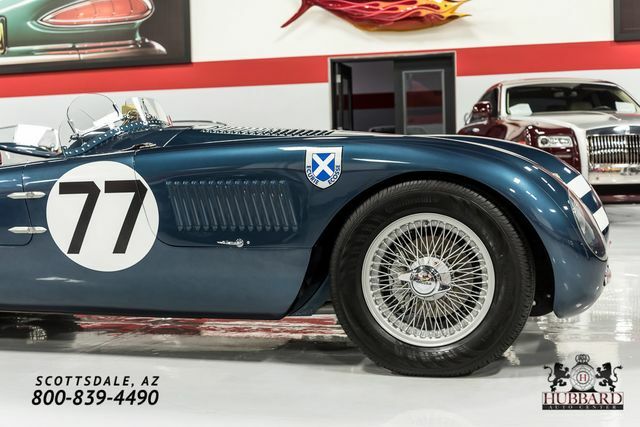 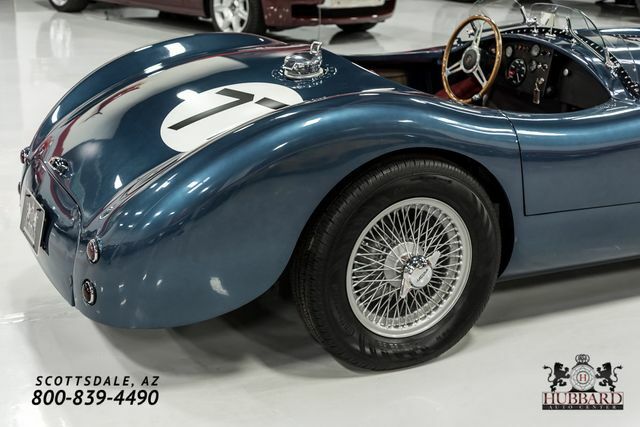 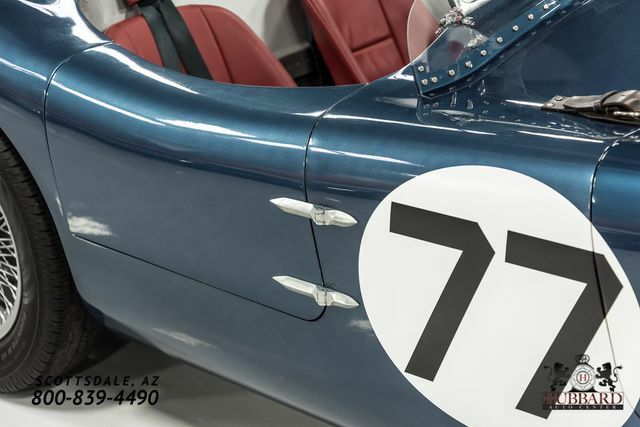 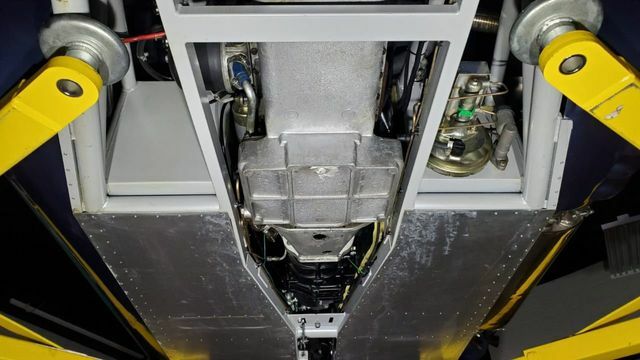 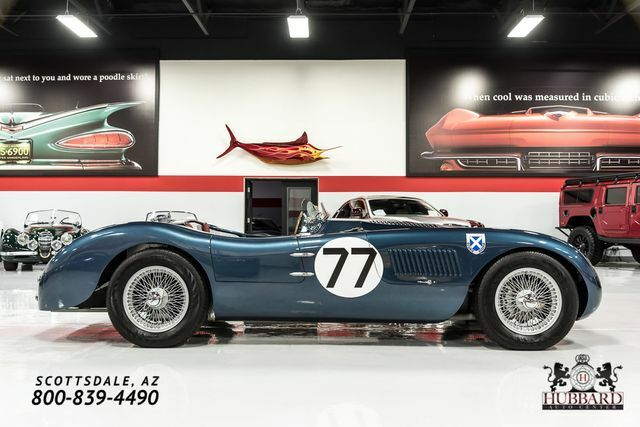 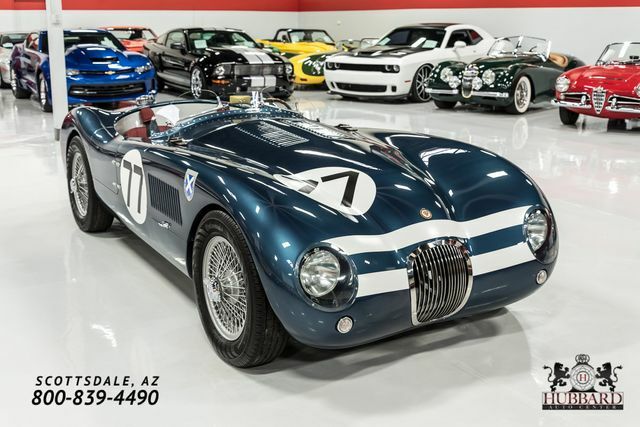 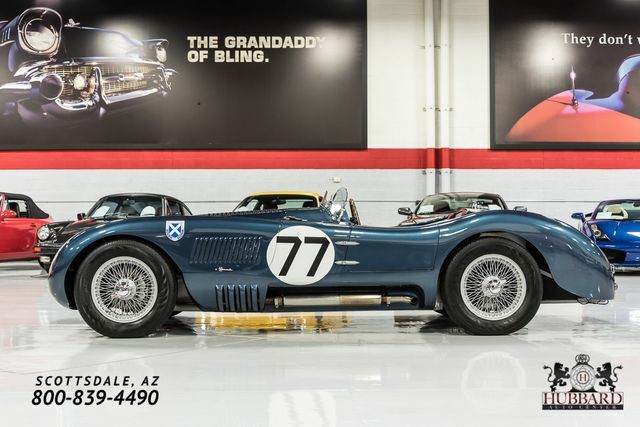 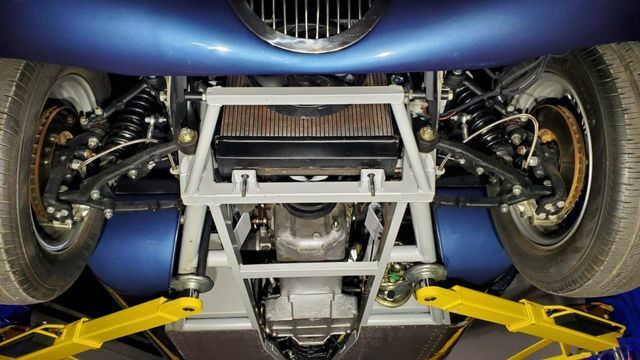 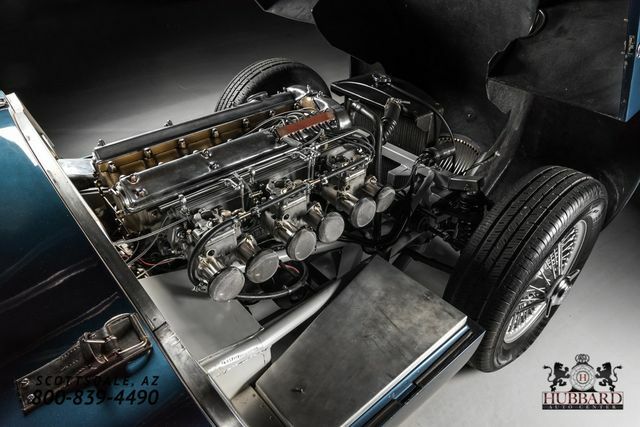 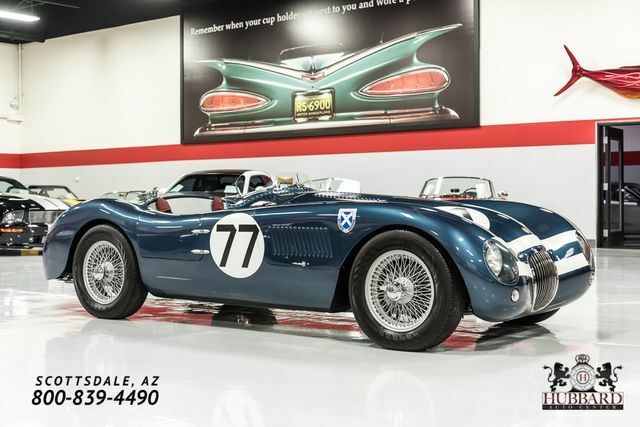 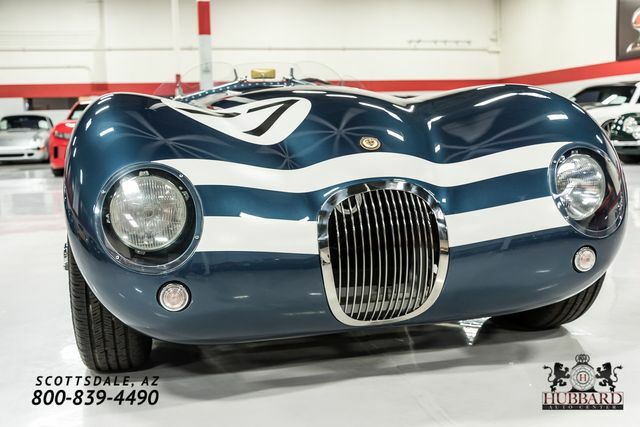 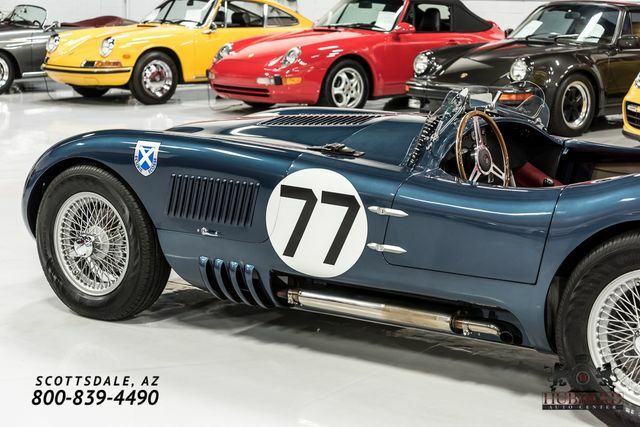 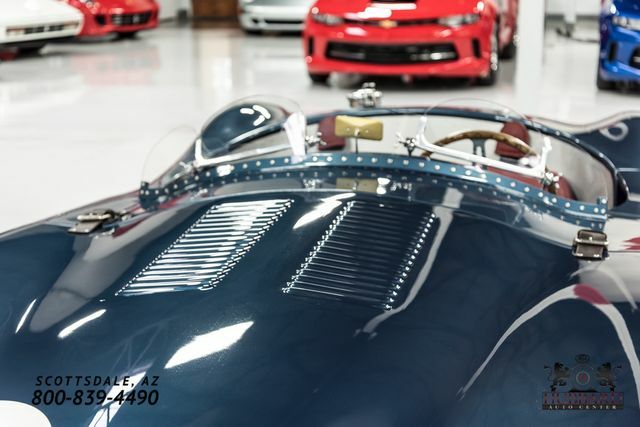 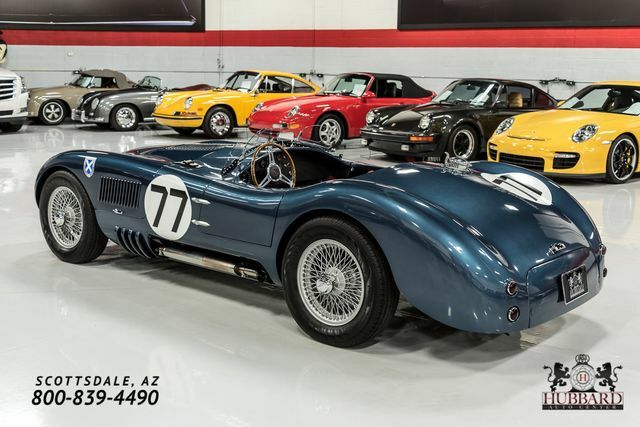 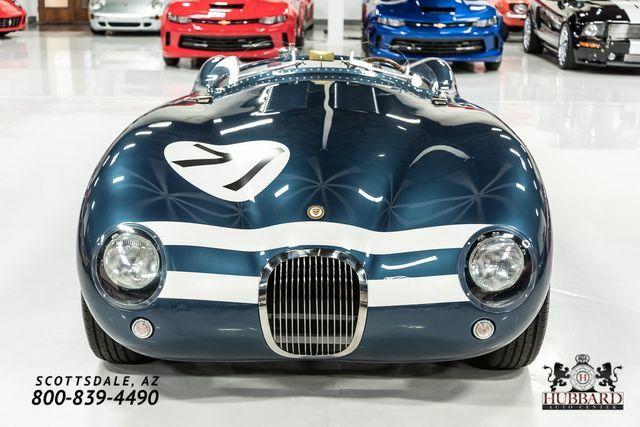 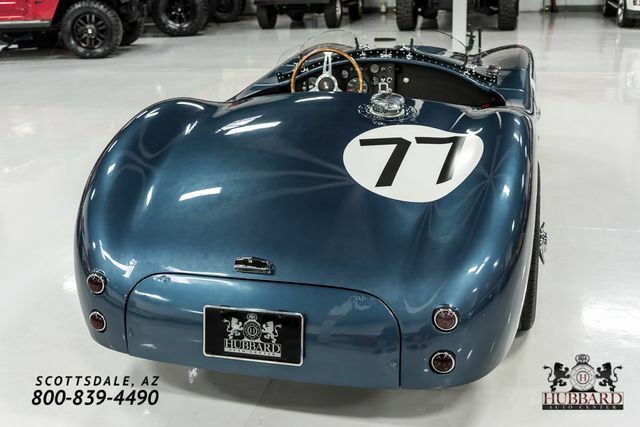 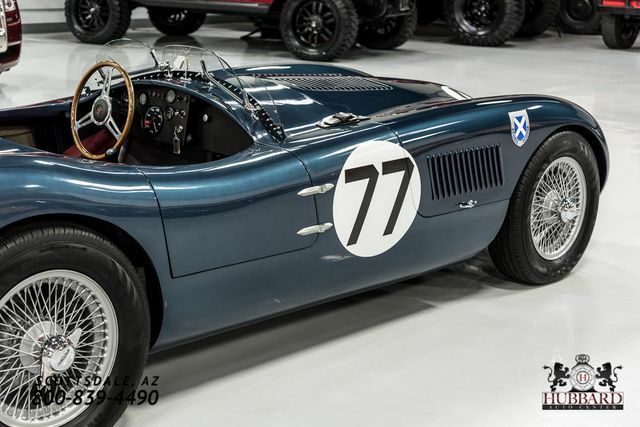 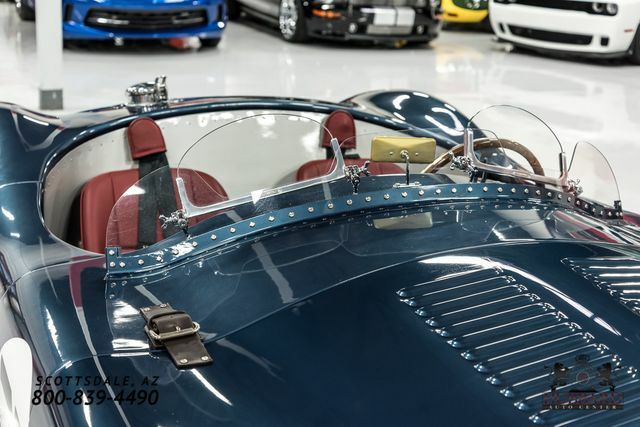 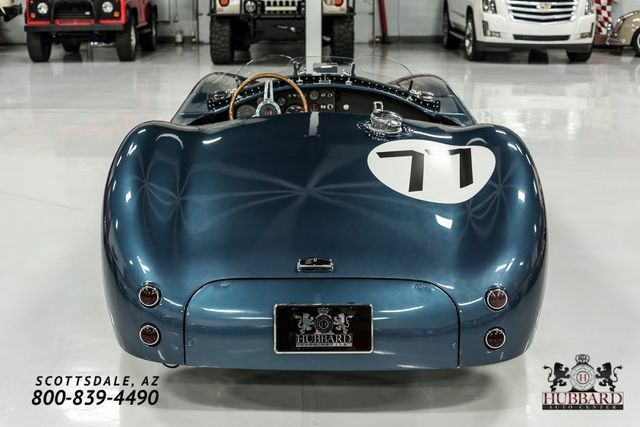 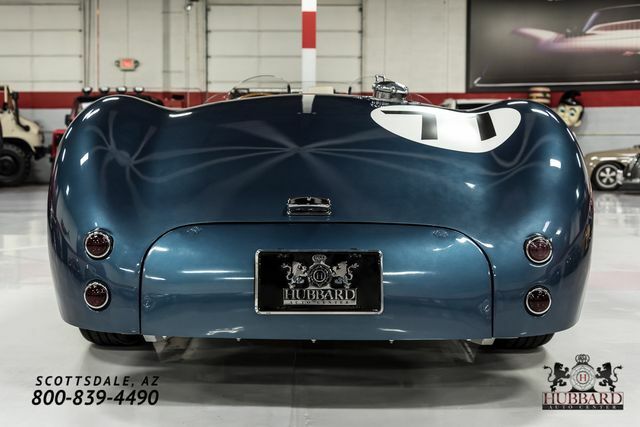 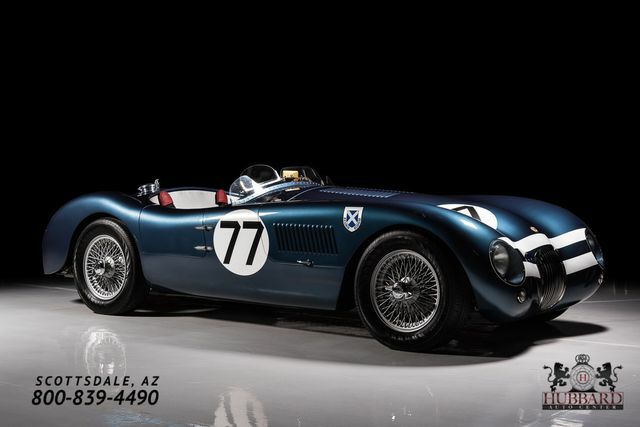 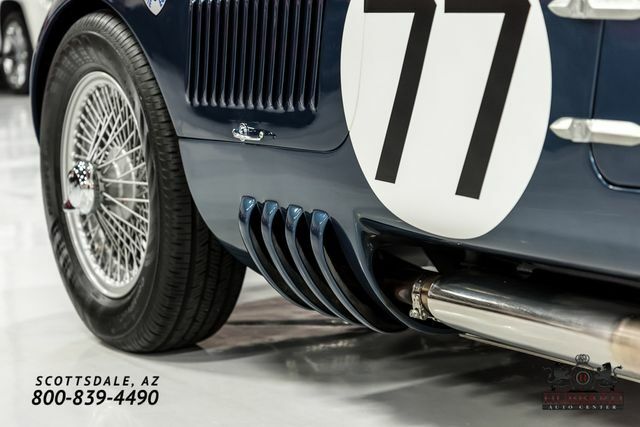 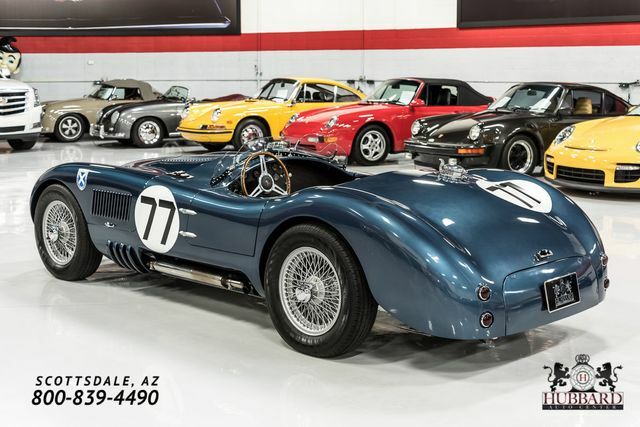 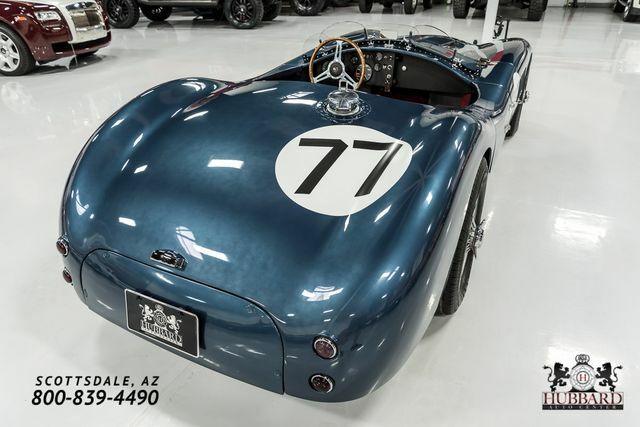 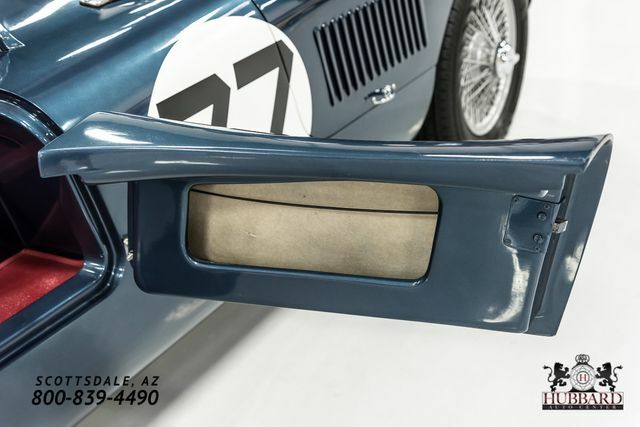 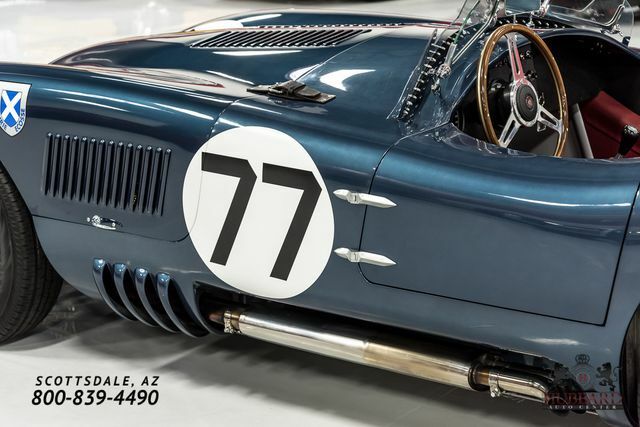 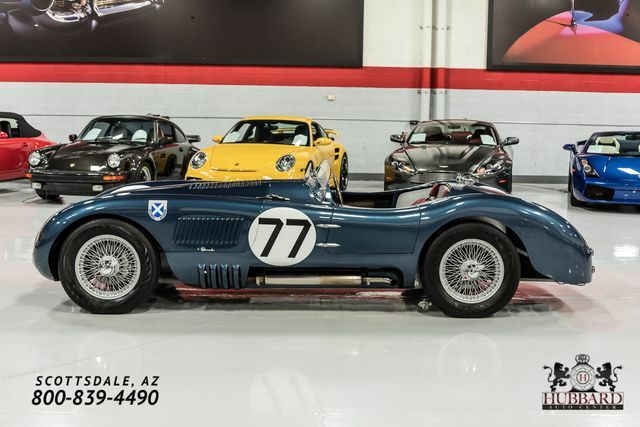 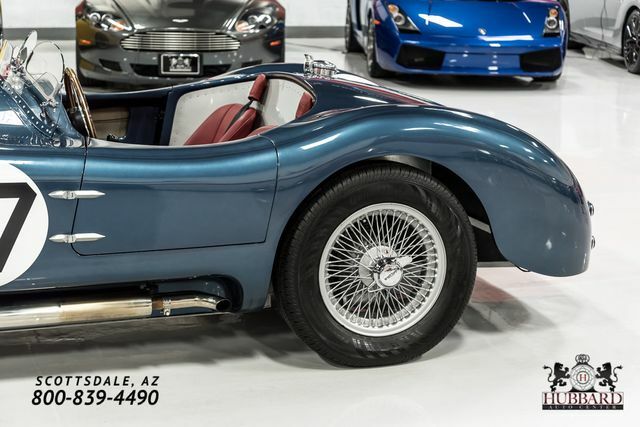 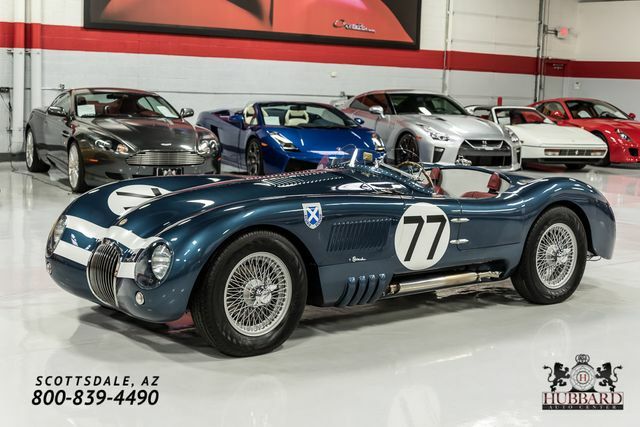 Built from a Realm Engineering Heritage C-Type Replica chassis/body, this machine is powered by a 280 HP Jaguar 4.2L inline 6-cylinder engine with three Weber sidedraft carburetors and headers that exit into the side-pipe exhaust. 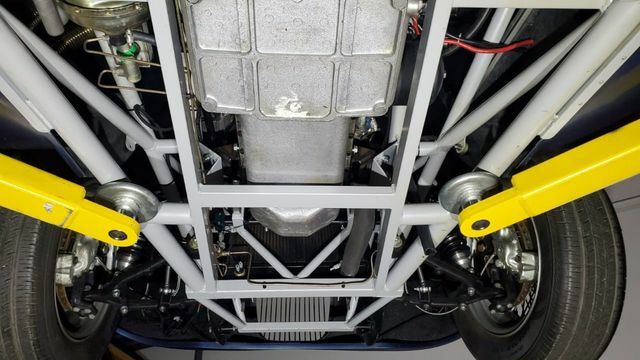 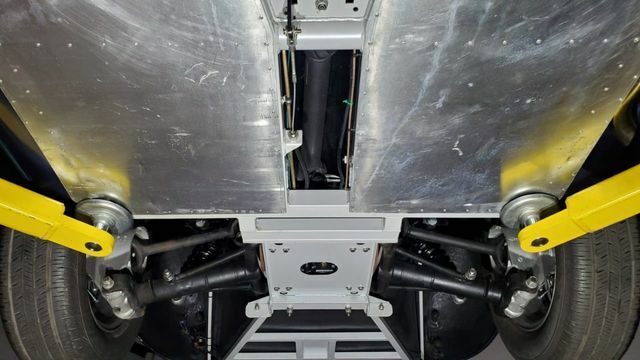 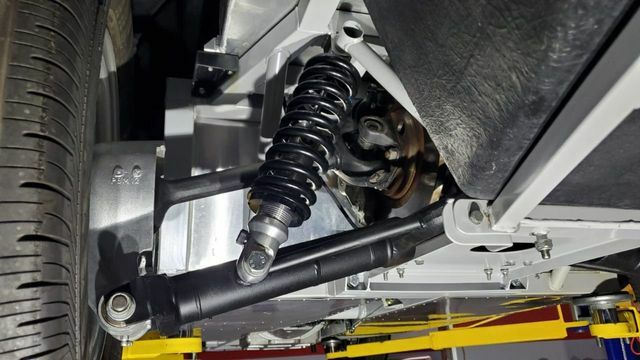 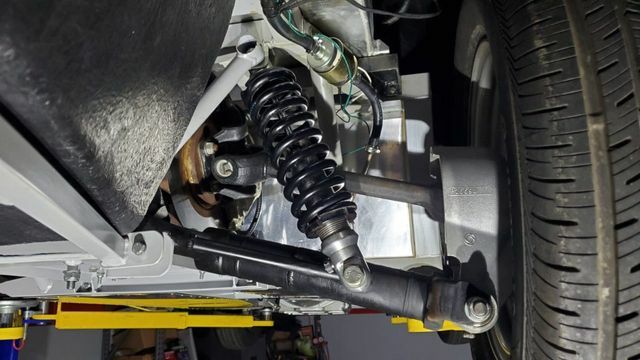 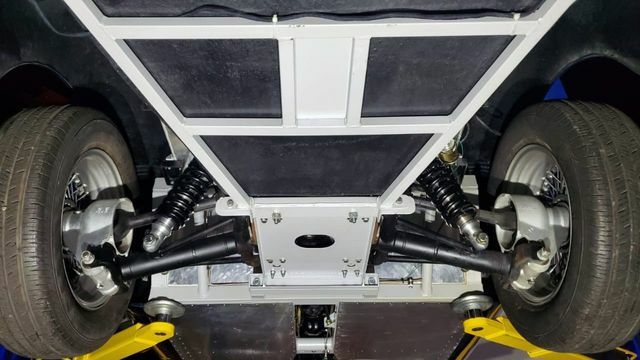 Beneath the Realm handcrafted GRP composite panels is a handmade spaceframe chassis, fully independent suspension all around and wire wheels secured by knock-offs. 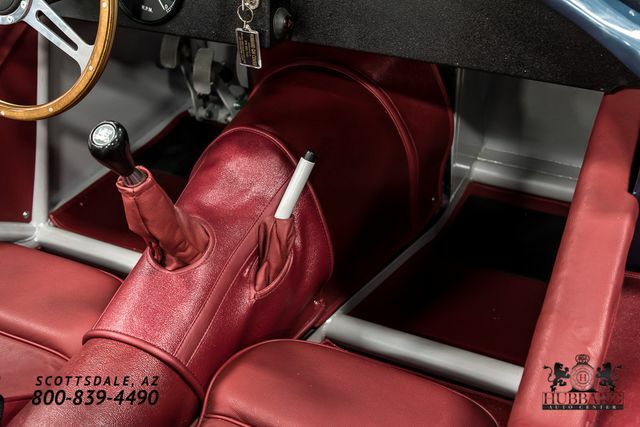 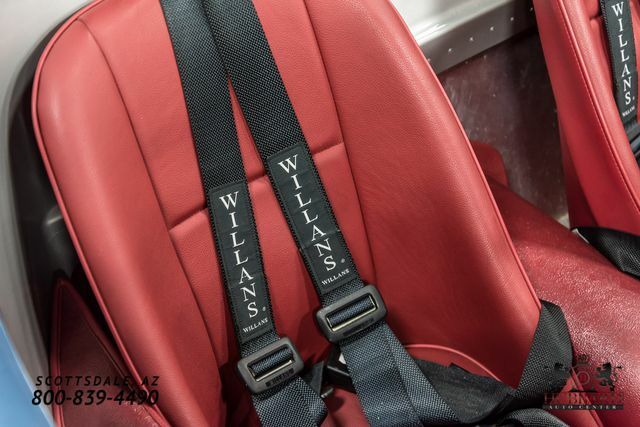 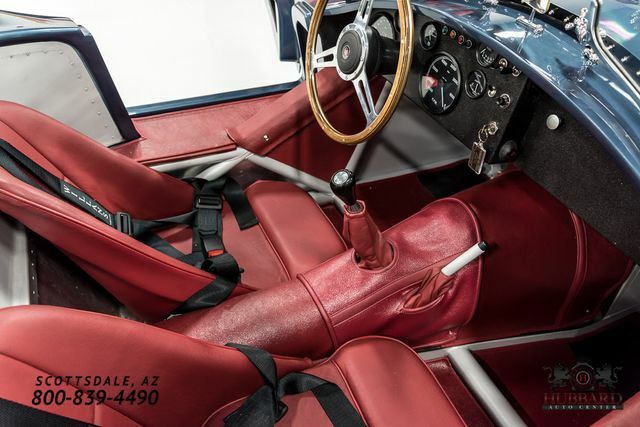 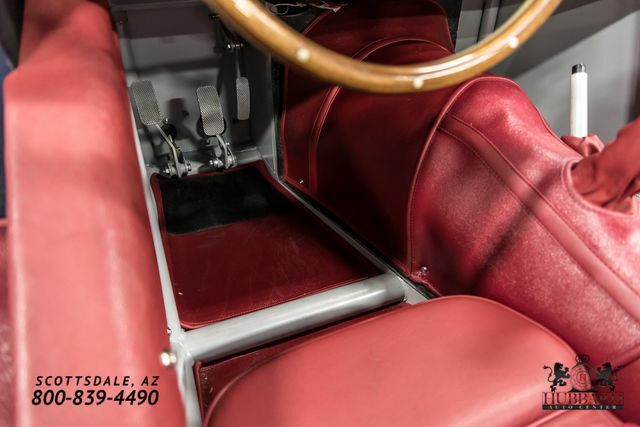 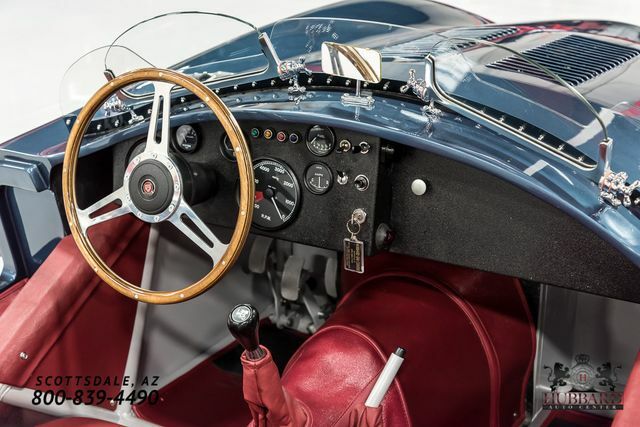 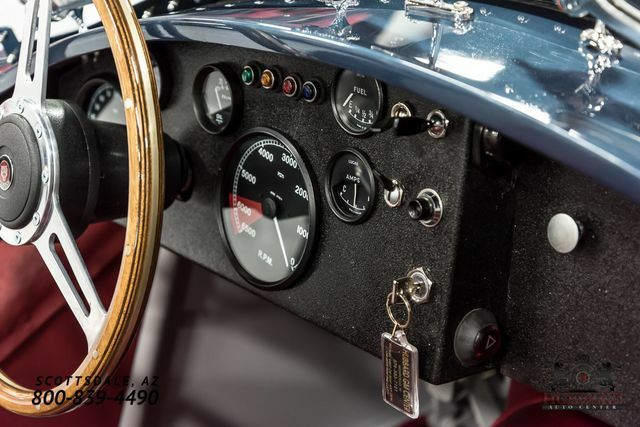 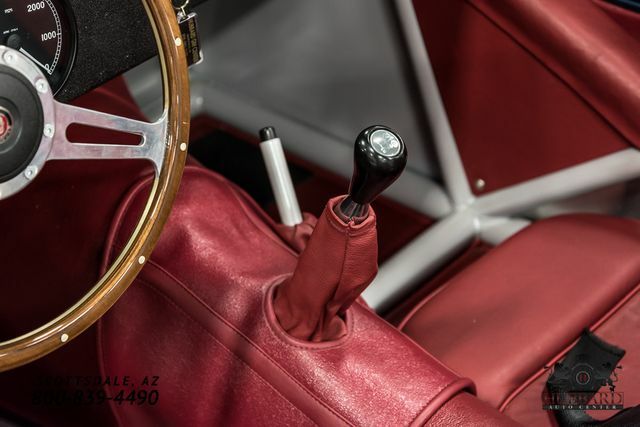 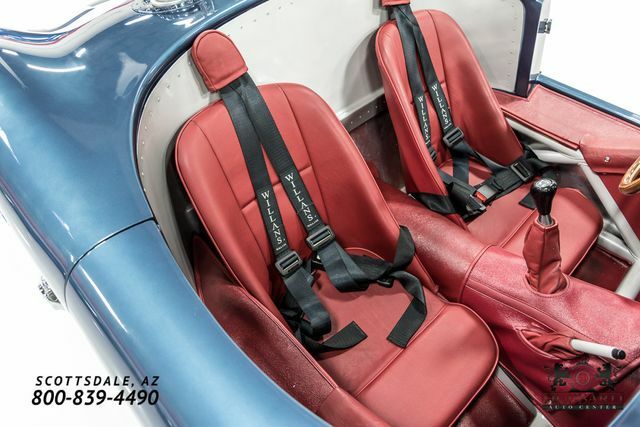 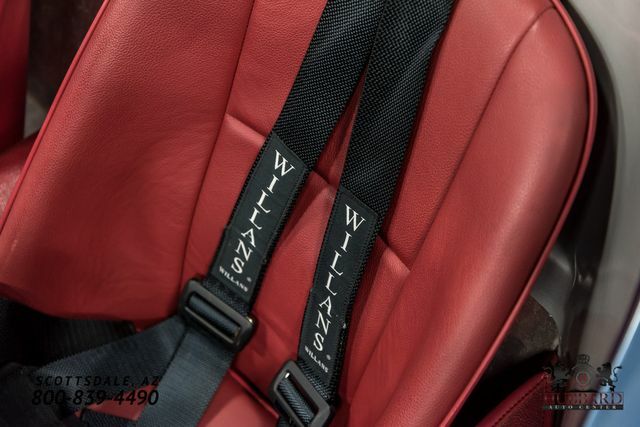 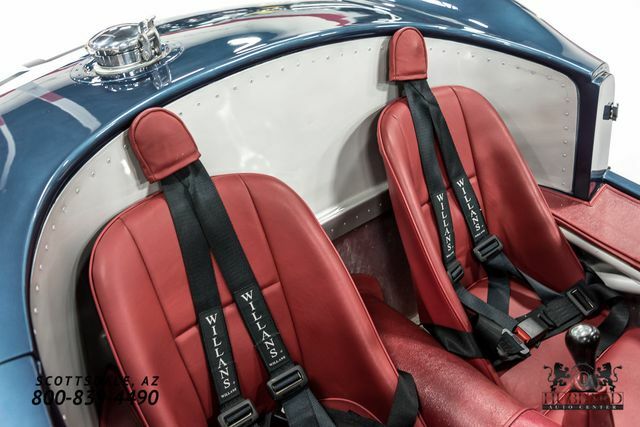 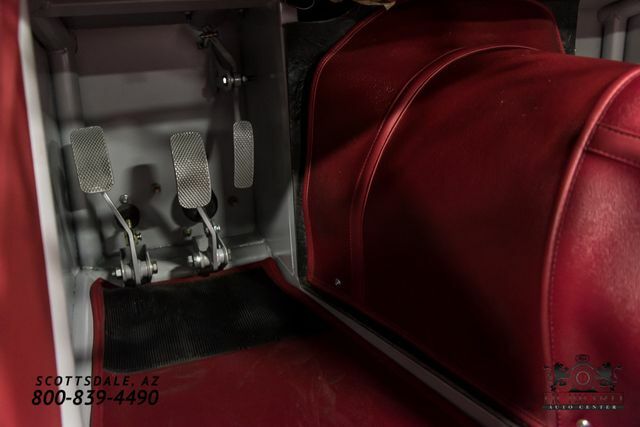 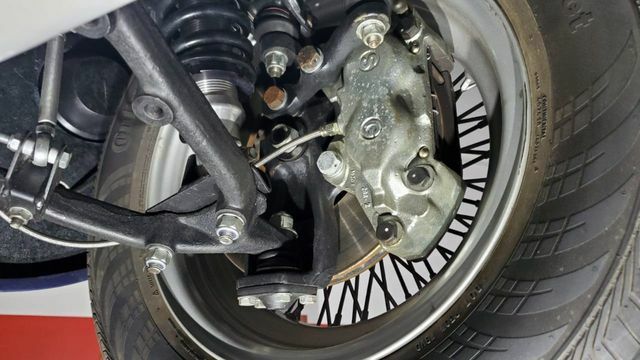 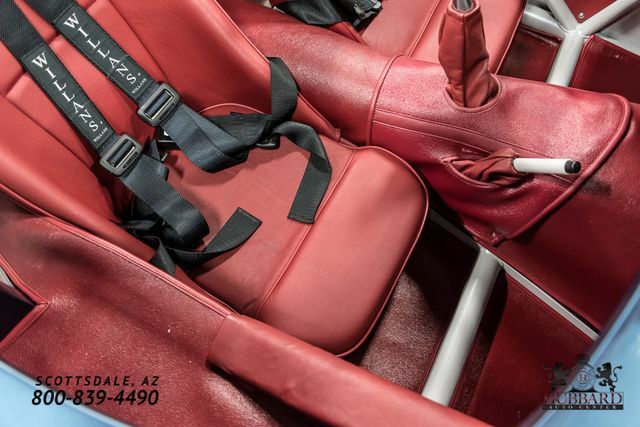 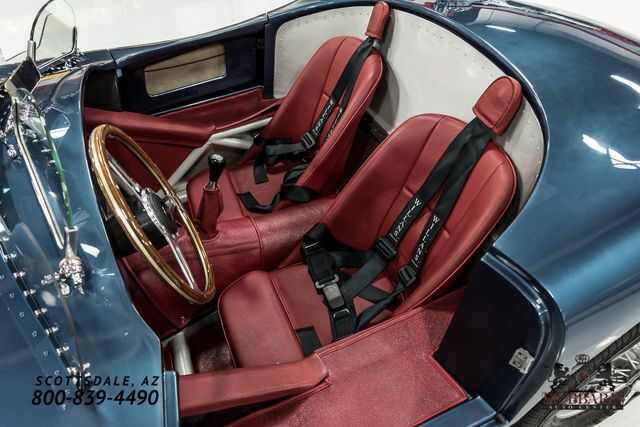 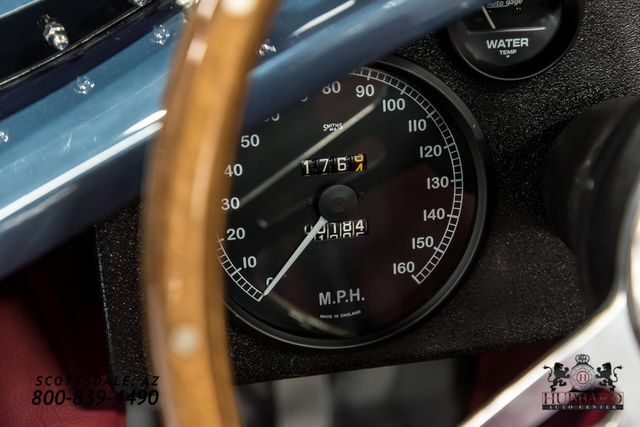 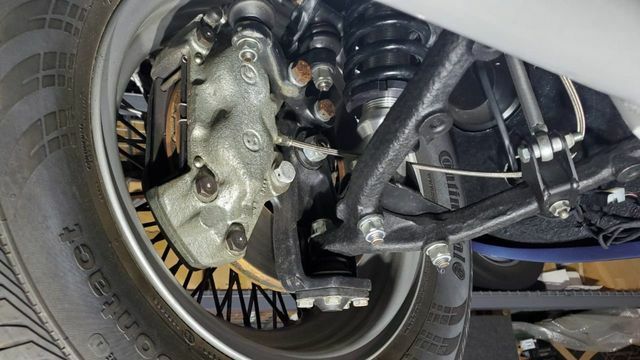 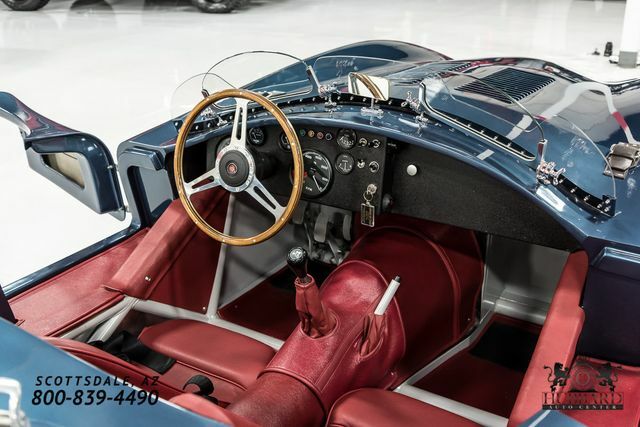 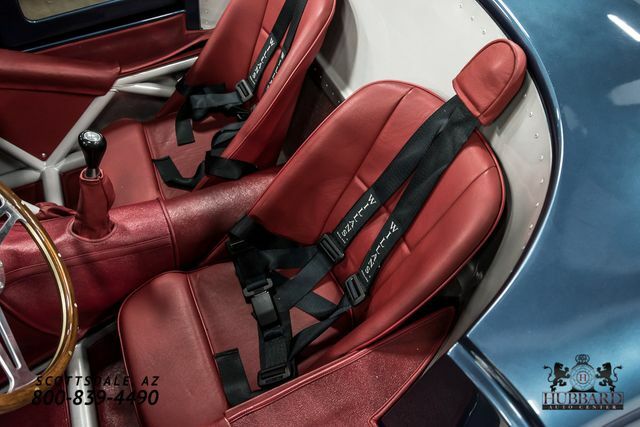 For better performance, road handling and safety, the C-Type replica is equipped with 4-wheel disc brakes, a collapsible steering column, Willans 3-point safety harnesses, emergency brake and a Toyota 5-speed transmission. 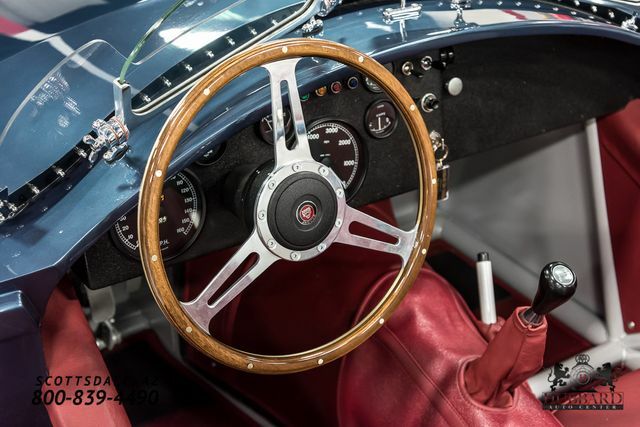 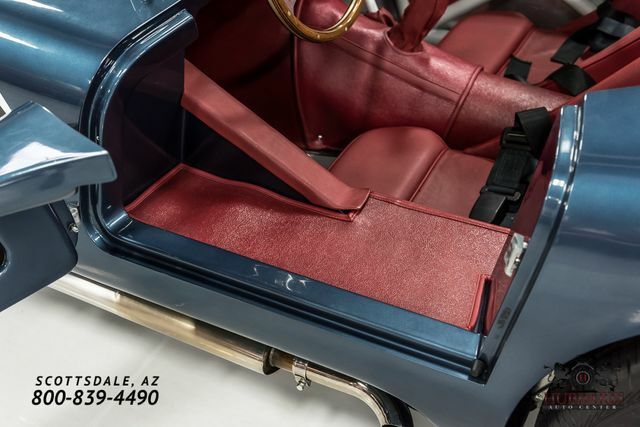 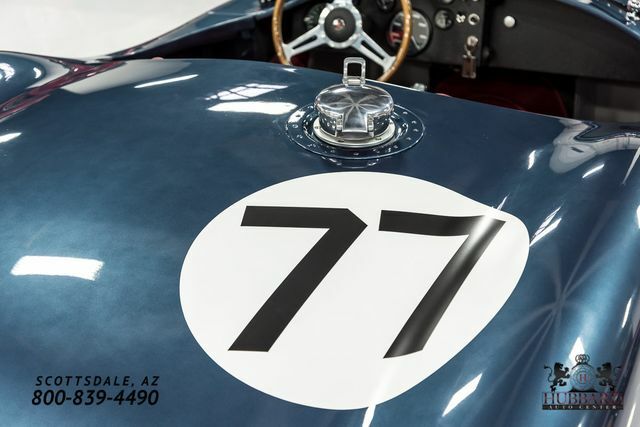 Finished in Midnight Blue Metallic, the Jag features a contrasting red leather interior with 3-spoke wood-grain steering wheel, 6,500 RPM tachometer and 160 MPH speedometer. 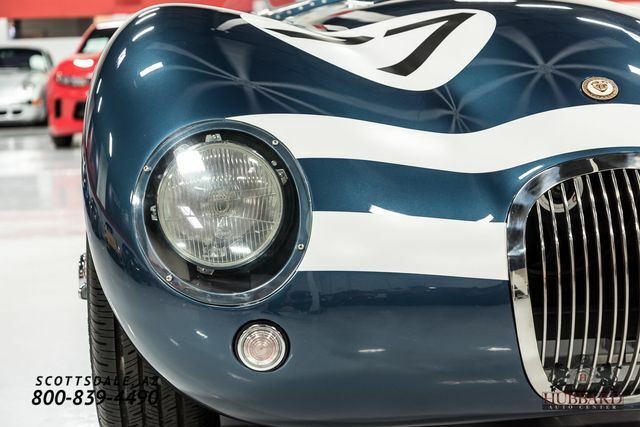 As an authentic recreation, the C-Type also sounds like a race car with an exhaust note described as "savage and crisp." 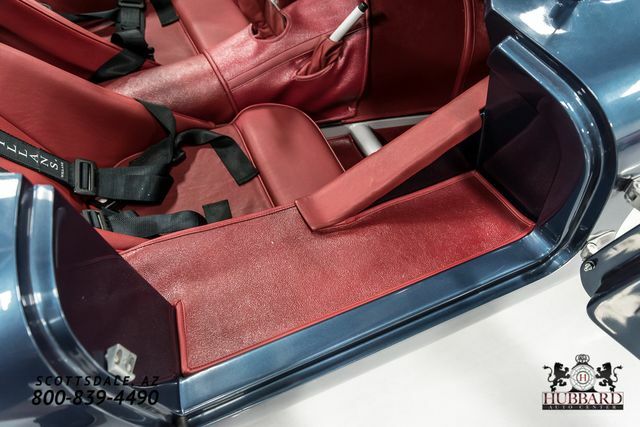 The body from Realm is made from high-quality GRP using its enhanced manufacturing system developed over many years of experience. 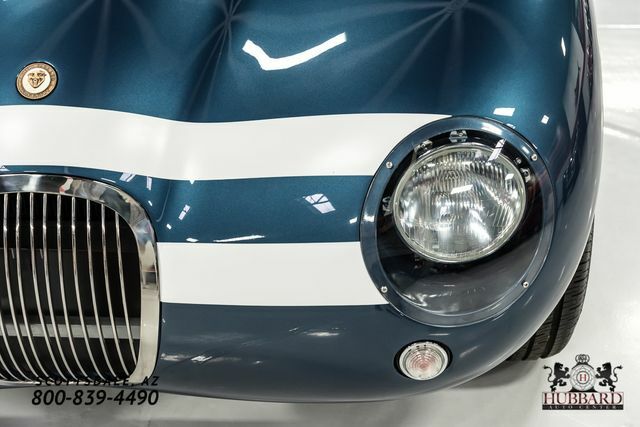 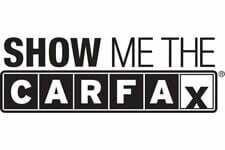 With the looks of the famous vintage Jaguar C-Type coupled with modern features and reliability, this is a fabulous opportunity to have some vintage-roadster fun in the sun.